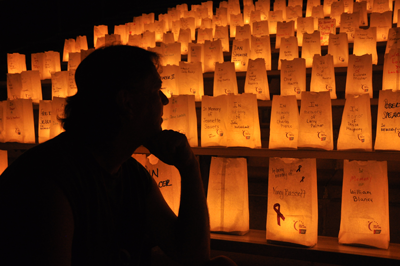 It's one of the most inspirational moments at the American Cancer Society Relay For Life® When the sun goes down, hundreds of luminaria light the way under the stars to remember those lost to cancer, those fighting cancer, and those who have fought cancer and won. This ceremony of light symbolizes the hope and perseverance with which we all continue to fight. The Rotary Club of Coto de Caza/RSM del Sol has joined hands with the American Cancer Society Relay For Life to raise funds to fight Cancer. Support our Coto RSM Rotary Club Members Relay Team with a Donation to Cure Cancer. Please come out an walk “anytime” during the Sat. 9;00am – Sun. 9:00 am “Walk –A- Thon”. The Rotary Club of Coto de Caza/RSM del Sol has joined hands with the American Cancer Society Relay For Life to raise funds to fight Cancer. Support our Coto RSM Rotary Members Team with a Donation to Cure Cancer.